WELCOME to the ALHN and AHGP Pennsylvania Homepage! Your resource for Pennsylvania State History! We are the Keystone State, home of independence, the liberty bell, the countries second capital, and the City of brotherly love. Founded by William Penn from a grant by King George in order to rid himself of the Quakers. Pennsylvania is a beautiful state, one of the orginal thirteen colonies, home to Benjamin Franklin, Betsy Ross and Benjamin Rush. Our state is rich in coal, German Heritage, hardworking Irish and so much more. We invite you to add to the heritage by contributing information to our site, adopting a county, or browsing We hope you enjoy your stay and will come visit our beautiful state. in the tragedy of Sept 11, 2001. 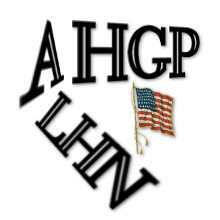 PA ALHN/AHGP has created a special page just for them. Mines and Mining - Coming Soon! If you have a website or an idea for a website that doesn't fit into any of the categories above but is historical in nature, please feel free to email us about it. We would be more than happy to visit your site and review it for inclusion in our history network. Thank you for stopping by -- you have been our [89007th] visitor since this site was created in 1998.